KADUNA TRADERS DENY BUYING NOMINATION FORM FOR EL RUFAI: HOW CAN WE BUY FORM FOR GOVERNOR WHO IMPOVERISHED US? 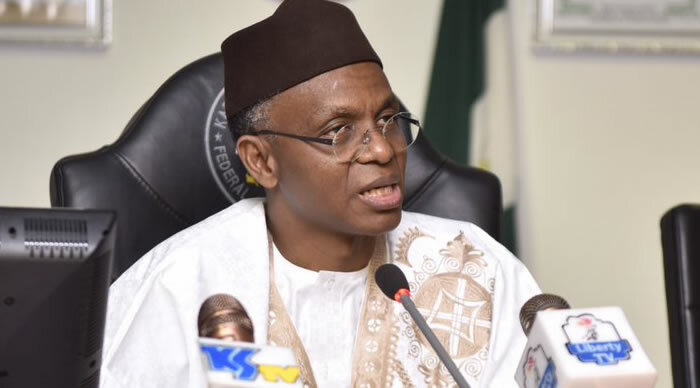 Controversy is presently trailing the purchase of nomination and expression of interest forms for Kaduna State Governor, Mallam Nasir el-Rufai, to contest the 2019 governorship election in the state. On Monday, the Independent Petroleum Marketers Association of Nigeria and four other groups claimed they bought nomination form for el-Rufai to seek reelection in 2019. The other groups are the National Association of Road Transport Owners, Traders of Sheikh Mahmud Gummi Market and the Katsina and Daura People’s Association, all living in Kaduna, and the Petroleum Tankers Drivers Association of Nigeria. The groups jointly presented the nomination form to the governor at the Sir Kashim Ibrahim Government House, Kaduna. But the Gumi Market Traders Association denied being part of those that purchase the forms for the governor. Those who signed the statement were Alhaji Falalu Maidoya, Alhaji Gafai Boska and Mr. Thomas Yakubu. The group said it couldn’t have bought the nomination form for a governor that had over the years impoverished them. It claimed that el-Rufai had inflicted pain on its members by demolishing their shops and imposing taxes on them. But the group leadership later denied the statement, saying they were part of those that purchase the form for the governor.